Update: The needed rains prior to the walk didn't come, so we have a beautiful day but few mushrooms. Philip will still expound on the subject, but the walk will be more of a general nature and history walk. The Friends of Herrontown Woods will host a combination mushroom/nature walk Sunday, Sept. 25, at 2pm, co-led by mushroom expert Philip Poniz and naturalist Steve Hiltner. Mushrooms can be weather-dependent, so the walk may focus on mushrooms or be more general, depending on how many mushrooms show up along the trails. 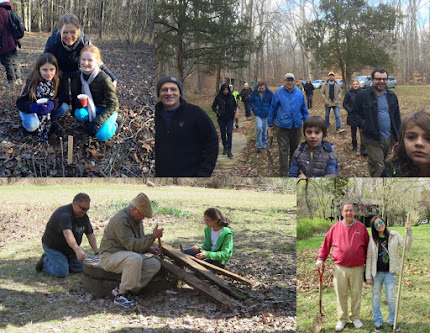 The walk is free, but donations are welcome to support restoration of the natural and cultural heritage of Herrontown Woods, Princeton's first nature preserve. Meet at the Herrontown Woods parking lot, across Snowden Lane from Smoyer Park. Maps can be found at http://www.fohw.org/p/maps. html.